Daniel Elliot dies in a single-car accident one rainy English night. His wife, Grace, is grief stricken. Although their marriage was imperfect, sheltered Grace doesn’t relish the future alone. I was on vacation in Florida and admiring the stunning beach houses on Gasparilla Island. I wondered what it would be like to own one. That lead to the idea of my late husband leaving me his, only I had no idea he owned property in the USA, much less a million dollar beach house. How did he afford? Why did he keep it secret? Thus the idea for Ring of Lies was conceived. When you wrote the book did you know you were going to offer it as an audio book? Not at the time. 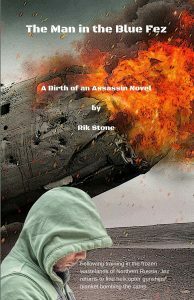 I often listen to audiobooks as a way of relaxing, and thought how good it would feel to have one of my own novels recorded and marketed as an audiobook. As I am not a resident of the USA, Amazon’s ACX facility is not available to me. However, once the idea took hold, I wasn’t going to allow myself to be deterred! As I mentioned, the Amazon ACX (Audiobook Creation Exchange) facility is unavailable to authors outside of the USA, which meant I had not only to find and audition a suitable narrator, but also find a producer who held an account with Audible. After much research and negotiations with various audiobook production companies I signed a contract with Dave Giorgio of BookRite Books. Do your research! There are many companies offering audiobook production. Audition as many narrators as you can to find the best voice for your project. Your chosen narrator should enunciate clearly, but able to ‘act’ the part of your characters, portraying all the emotion necessary to bring the book alive. What else would you like to share with readers about your audio book? 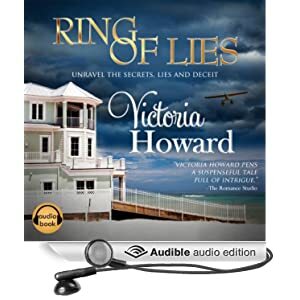 I’m delighted to say that Ring of Lies has been awarded, what I hope, is the first of many 5 star reviews on Audible.co.uk! 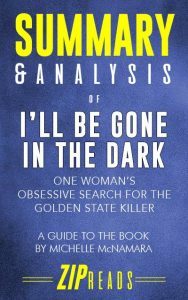 After Sue’s car is found deserted in an outlying cemetery, the police dismiss her parents’ concerns since it appears Sue left willingly. The Coxes immediately hire William Falstaff, a small-town private investigator. He begins his inquiry with only two objectives. First, to verify that Sue’s departure is voluntary. And second, to provide her family with information on her whereabouts. A simple case. However, he soon finds himself locked into a chase to save Sue’s life. Will he find her in time or will she become another victim of a cunning sociopath? It started as a romance and then took a bad turn. When you wrote the book did you know you were going to offer it as an audio book? We knew that many book lovers prefer to listen rather than read a book. To choose the right narrator for your story. What else would you like to share with readers about your audio book? We feel like Michael Hanson did an excellent job of capturing the mood of the book, especially the character of Zeke. His versatility added a new dimension to our story.